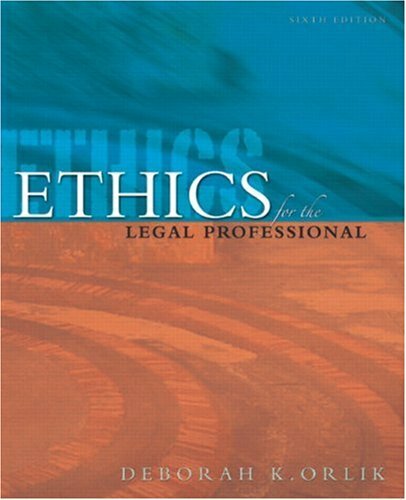 Edition continues to tackle the most important ethical issues facing paralegals today in a frank, conversational style. Written from the viewpoint of the paralegal not a lawyer. Avoids legalese and jargon so the material is easier to understand. Reorganized to reflect the changes in the paralegal professionbeginning with what paralegals and lawyers are and ending with a discussion of the umbrella duty of integrity. Helps make the material more relevant to the paralegal and increases their opportunity for understanding. Includes a more complete discussion of client trust accounts as well as pro bono service, referral fees, types of fee agreements, retainers and more! Legal professionals.